Currently there're two ways to get to Lhasa from Kathmandu. Taking a flight to Lhasa from Kathmandu. There is at least 1 direct flight from Kathmandu to Lhasa every day (during peak tourist season, there're 2 flights). It takes around two hours to arrive in Lhasa, which is the quickest way to reach Tibet from Nepal. However, the flight is always delayed due to the unstable weather condition. Sometimes, it will be even cancelled and put off to the next day, that could disrupt your original tour plan indeed. So, travelers should have known this possibility in advance. Or, you can take the second option. Kathmandu – Gyirong Border – Tibet, by car. Since Gyirong border reopened on 29th. August 2017, foreigners could enjoy the amazing scenery along with the famous Friendship Highway, i.e. Sino-Nepalese Highway. We offer both group and private tours from Kathmandu to Lhasa for travelers with different needs. The basic route is Kathmandu – Gyirong border (Nepal) – Gyirong Town (Tibet) – Tingri – Shigatse – Gyantse – Lhasa. Considering the altitude sickness, we will have a far view of Everest instead of visiting Everest Base Camp. If you want to visit EBC as well, please contact our travel consultant for a customized Kathmandu Gyirong EBC Lhasa overland tour. Foreigners have to apply for the China Group Visa in Kathmandu, even if you already have a valid China Visa. It’s a compulsory regulation. We have long-term partners in Kathmandu who can help you get it. You just need to send us the passport copy by email. Then, we will handle the rest things for you. How much will the Kathmandu to Tibet Tour cost? Great Tibet Tour offers many Kathmandu to Tibet tours. You can contact our travel experts to plan your Tibet tour and ask for a quotation as per your travel customization. How are the Hotels in Kathmandu and Tibet? The hotels and home-run hostels in Tibet are of sub-standard quality as compared to that of cities like Beijing, Chengdu, and Shanghai. Lhasa has some of the best hotels like the, St. Regis, Intercontinental and Shangri-La, but in Gyangtse, and Tsedang the settlements are of average standard. Facilities in remote territories like Tingri, Zhangmu, and Nagchu are fairly general as well. It'll be a smart move to carry your sleeping bags though. You can also check our hotel page. Can I travel by air to Tibet from Kathmandu? There are not many airlines that travel to Tibet from Kathmandu. As of now, only two airlines are accessible to tourists. The Sichuan Airlines and the Air China. They make seven flights each week overall, and a one-way flight usually takes 1h 30m. Air Ticket Fare: Approx. 370USD (one-way), and these prices are prone to rising substantially during the peak tourism season in Tibet (from April to October). 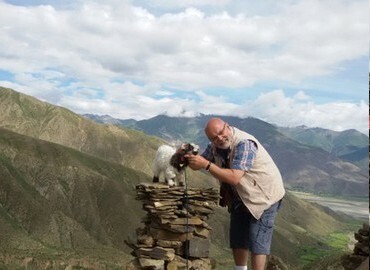 How can I arrange a Kathmandu-Tibet-China tour? 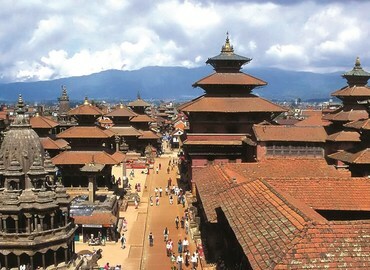 For the people who are not satisfied with just visiting Tibet and Kathmandu can extend their tour further. You can take either a flight or a train from Lhasa then travel to other gateway cities in mainland China, like Beijing, Shanghai, Xi'an, Guangzhou, Chengdu, etc. to explore China more deeply. Can I travel from Kathmandu to Tibet via Train? Presently, there are no trains available. But the most recent news from the meeting between the Chinese and Nepalese Premiers hinted that a railroad would be extended. Once that is finished, tourists will be able to travel from Kathmandu to Tibet via train. How can I travel to Tibet from Kathmandu by road? Before the deadly earthquake in Nepal during in May 2015, roadways was the major form of transport for traveling to Tibet from Kathmandu. And, the tragic event has left the Zhangmu Border inoperative, but it's known that the reopening of Zhangmu Border was put on the agenda for the tourists currently. Fortunately, the Gyirong Port can be used as a substitute. So you may have the overland tour via Gyirong now. The route from Kathmandu to Lhasa is about a week at least. You will have to pass by the Himalayas as well as many places on the Sino-Nepal Highway. What are the Visa requirements for traveling to Tibet from Kathmandu? Basic document --- your original passport and the copy of the Tibet Travel Permit. If you want to enter Tibet from Kathmandu, please don't apply for the China Visa in your country. According to the regulations, foreign travelers who go to Tibet from Nepal have to get the China Group Visa from the Chinese Embassy in Kathmandu. It requires your original passport and usually takes three working days to obtain the Visa. It's a single-entry visa with a validity at most 60 days, which means you could travel to other parts of China after your Tibet tour. Need more details, check out China Group Visa. What is the distance between Kathmandu and Tibet? The distance between Kathmandu (1,400m) in Nepal to Lhasa (3,658m) in Tibet is 609 km. How can I prepare for the high altitude when flying from Kathmandu to Lhasa? When you land in Lhasa, take a decent time to rest and don't hurry to visit attractions. b. Avoid all vigorous activities and having light diet on the first day itself. c. Avoid smoking and liquor. d. To avoid catching a cold, don't take a bath or showers too often. e. It's normal to experience some fluid loss and energy drain after acclimatization, so drink enough water and eat substances with high caloric substance, like chocolate.